Chris: I’ve been writing ever since I was a child. I majored in English in college and took some journalism courses in high school and college. I looked at careers in both teaching and journalism, but finally settled on teaching. It’s given me time to write and provided a steady income while I pursued writing. Chris: I think “success” is a moving target and difficult to quantify. I’m just happy that readers enjoy my books and ask me to write more of them. Chris: The everyday process of writing is pretty much as I expected. You need a lot of self-discipline and dedication to the craft. The big difference today is the ever growing e-book phenomenon and the importance of the Internet and social networking. Chris: I think it’s a huge misconception that writers are wealthy. Midlist and small press authors make very little money. My advice for someone just starting out is to have a second career option, as many writers do. I’m building a following with the release of each new book––and making more money than I did before––but there are few writers today who make large sums of money or live entirely off their advances and royalties. Chris: I don’t have to spend time searching for a publisher or an agent. But the majority of marketing and promotion are still primarily my responsibility––and that takes time. Chris: I had published articles and short stories on and off through the years. The first John Santana novel, White Tombs, took about two years from finished manuscript to publication. Chris: I would learn as much as I can about the publishing industry. My learning curve has been steep over the last five years. A well-informed author has a much better chance of getting the best deal when negotiating contracts and rights. Chris: Seeing my first book in print was very exciting. Having my books win national awards was also exciting. Chris: Rejections are always disappointing, but overall, I’m extremely happy with my writing career. Chris: A woman at one of my events asked if I’d sign a copy of The Black Minute for her son who wrote the screenplay for Clint Eastwood’s movie Gran Torino. Like the movie, my second Santana novel deals with the Hmong community. 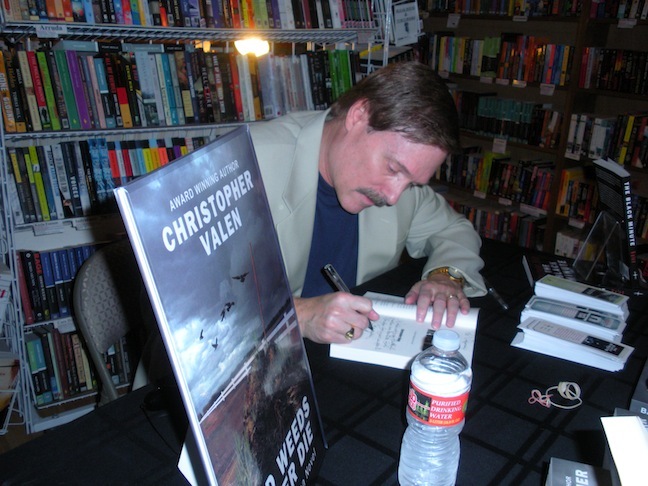 At another of my signings, I met a cousin of James Lee Burke who grew up with him in Houston. She bought a copy of White Tombs and later sent me an email telling me how much she enjoyed the book. Chris: I think my Colombian-born detective John Santana has a unique background that sets him apart from most of the detectives currently working the streets. Chris: There are more opportunities to publish today than ever before. If an aspiring writer cannot land a contract with a legacy or traditional publisher, I would encourage him or her to seek other options such as self-publishing. No one can read your work if it’s sitting in a drawer. 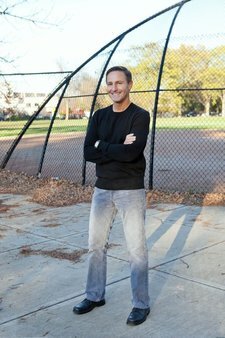 Chris: The most effective tool is meeting readers at book signings, book clubs, and other promotional events. I’ve also gotten to know many of the bookstore owners and managers, which makes it much easier to schedule events whenever a new book is released. 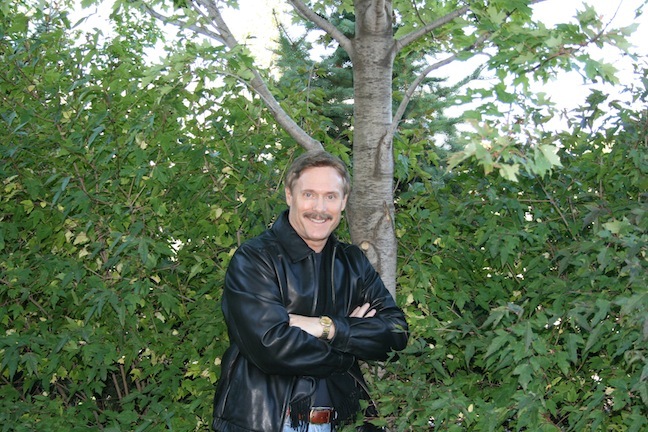 Chris: While I enjoy meeting and talking with readers, the travel involved is very challenging and time consuming. Chris: I have a few. Once Upon A Crime in Minneapolis, which won the Raven award last year for the best mystery bookstore in the country. I’d also like to mention Lake Country Booksellers in White Bear Lake, Minnesota and Valley Bookseller in Stillwater, Minnesota. The bodies of young men have been turning up in the Mississippi River for years, their deaths attributed to excessive drinking. 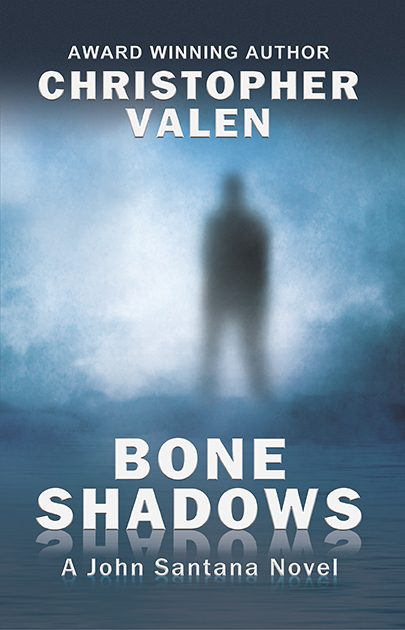 But when an Iraq war vet suffering from PTSD is found in the river, St. Paul Homicide Detective John Santana must decide if the young man’s death was accidental or the result of something far more sinister. Caught between a reporter trying to resurrect his flagging career, an FBI agent with a troubled past, and a beautiful private investigator on the trail of a serial killer, Santana is pulled into a whirlpool of greed, seduction, and death. Determined to find the truth no matter what the cost, he must first face his own dark memories and a killer intent on stopping him. Chris: My wife, Martha, is from Manizales, Colombia, where my character John Santana was also born. Much of what I know about Colombia I’ve learned from her and from our visits there. There you have it folks. Let’s get out and get some of these books and find out what John Santana is made of! 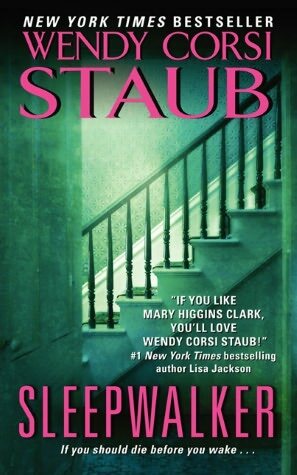 Wendy Corsi Staub’s novels are very addictive if the reader is looking for great characters, a lot of suspense and don’t mind a little cliffhanger at the end. Sleepwalker is the second novel in a trilogy with Allison Taylor now Allison MacKenna as the central character. Allison met her husband Mack MacKenna when she had an apartment across from Mack and his wife in New York. Mack’s wife was killed in the 9-11 tragedy and Allison suffered a tragedy of her own at that time. She discovered the body of Kristina Haines, another resident in the apartment building. Kristina had been brutally murdered. Jerry Thompson, a maintenance man in the apartment building, was convicted of Kristina’s murder and sentenced to prison. Allison and Mack eventually married and now have a wonderful family. Now it is announced on the news that Jerry Thompson has committed suicide and suspicious things begin happening to Allison. She feels that someone has invaded her space but who or how this can happen, she has no idea. Mack is taking medication for his insomnia and Allison catches him walking in his sleep one night. Allison fights back the thoughts that Mack may be the cause of some of the strange little things that are happening. When Bob Lewis, Allison’s neighbor who is out of town, contacts Allison and asks that she go next door and check on his wife Phyllis, Allison agrees. On arriving at the Lewis’ home Allison finds that Phyllis has been murdered and in the same manner as Kristina ten years before. So the nightmare begins again for Allison and her family. Detective Rocky Manzillo, the detective who originally investigated Kristina’s death, is called in on the case even though his wife is very ill. It seems that Jerry Thompson is speaking from the grave to those who found him guilty letting all involved know that there is still someone out there who won’t be satisfied until Allison and all involved are punished. The last book in the trilogy is Shadowkiller. I am waiting anxiously for the release of this third book. I would suggest that readers start with the first book in the trilogy but I think the author gives enough background in Sleepwalker to make it an enjoyable read even though you have not read the first book. Diane Capri was one of my very first clients. I loved her work then, and I love it now. It’s wonderful to have a friend like this and be able to watch the career she’s creating for herself. Diane: My goals as a writer have changed over time. But back then, I just wanted to see my book on a bookshelf. When I went to my first booksigning at Murder on the Beach in Miami. It was a slow Sunday afternoon in the summertime. I figured no one would be there. But Joanne Sinchuck had put my a huge display featuring my book in the front window of her bookstore. Not only that, but there was actually a crowd of readers waiting to talk to me! Of course, I didn’t have a camera and don’t have any photos — but what a feeling that was! Diane: I thought I’d be financially independent, hang out at the Algonquin Round Table with Sue Grafton and John Grisham and James Patterson and Lee Child and Michael Connelly and my other favorite authors every afternoon. 🙂 Otherwise, it’s exactly what I expected — and I love it! Diane: I had the good fortune to be a student in many, many classes while I was learning the craft of fiction. Everyone who shared their expertise with me said something about how writers should respect our readers. To be honest, I didn’t pay much attention. Back then, I wasn’t sure I’d ever have any readers to respect. But now that I do, I realize how much my work should focus on readers and I spend a great deal of time on that one goal. It’s so wonderful when readers tell me I’ve hit the mark! Diane: That’s kind of a trick question. The flip answer is “thirty years,” because I’d wanted to write for a very long time before I actually got up the nerve to do it. The more serious answer is that once I put my energy to writing with intent to publish, it took me about four years between starting the novel and seeing the book on a bookshelf. Diane: I’m grateful to say I’ve had so many great moments! It’s very hard to choose the single most exciting thing. But surely watching my books climb the bestseller charts is one of the most exciting things. Makes me feel a little like I understand Sally Field‘s Oscar speech, hmmmmm? Diane: All writers live through the school of hard knocks, but some of the lessons take longer to recover from than others. For me, the worst was when my publisher went bankrupt. The legal entanglements leave a very long tail. Diane: When I sat at a signing table with other authors at BEA and we had a line of 700 + jaded publishing types who had seen and done everything — standing in line for our autographs! WOW! Diane: I think the answer to this question is the same for every one of those books and authors – the thing that sets the book apart is the author who writes it. We are all unique. Our voices are unique and even when we try to write in one style or another, that uniqueness comes through. It’s impossible to suppress. But what I write about is a little bit different from those books, too. I like to challenge our assumptions and do things a little differently. I write clean because it’s a challenge (and because my mother reads my books! ); I believe all problems can be solved, so my characters believe that, too. They get knocked down, but they get up again. I’m comfortable with ambivalence, uncomfortable with cruelty, and I have a very good imagination, so I assume my readers do, too. It’s not necessary to put everything on screen. And I like upbeat endings. 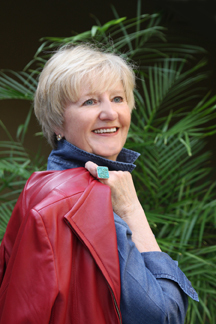 Diane: Pre-published writers often struggle with self-doubt and fret over the competitive nature of the business. I tell them that publishing is competitive, yes. Anything worth doing is competitive, is it not? But there are millions of people who have absolutely no desire to write a book — indeed, there are millions who have no desire to even read one! I believe that anyone who has a desire to write has at least some talent for it. Otherwise, we’d have no desire to do that thing. If you doubt me, I can give you a long, long list of things for which I have no talent at all, and no desire to develop skills, either. (I couldn’t possibly be a hockey player, for example!) Thus possessing some talent, the writer’s job is to develop that talent by learning the craft well enough to satisfy readers. Hang in there until you can do that, and you’ll be glad you did. I am. Diane: That’s a trick question, right? 🙂 The most effective tool is the one that works. The challenge is figuring out what works today, because it probably won’t be the thing that worked yesterday and definitely won’t bet the thing that works tomorrow. Diane: I actually like book promotion, so I enjoy learning everything about it and trying it all. But the biggest challenge is finding the time to write, so I look for the most successful promotion techniques I can find that take the least amount of time away from writing. All of my titles are for sale from all legitimate online resellers. LOL Thank you Diane. Entertaining and informative as always. If you haven’t read Diane’s work yet, you’re in for a real treat! Lalla’s father is in bad health and so is his crop dusting business. Crop dusting does not sound like a very complicated business but I soon found out that it is a very complicated business particularly when someone is sabotaging your company. 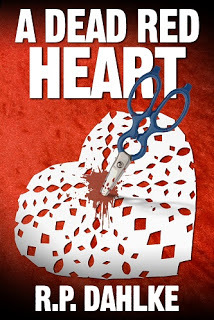 Sheriff Caleb Stone is the main man in Lalla’s life but when Billy Wayne Dobson, a man who is self-medicating his post-traumatic stress disorder, begins to stalk Lalla, she decides to take matters into her own hands rather than allow Caleb to handle the problem. Caleb is talking restraining order and Lalla just can’t bring herself to allow the restraining order to be issued. Billy Wayne is shy and easily startled and Lalla feels that she is better equipped to deal with Billy Wayne. Mr. Kim’s Chinese restaurant is where Lalla locates Billy Wayne who appears to be in a drunken stupor. When Lalla tries to wake Billy up he rolls over and she sees the blood stains spreading across his shirt. Billy Wayne manages to give Lalla a cryptic message just before he dies. The author introduces the reader to a number of characters that make this book a great read. Rather than trust Sheriff Stone and his staff to find the murderer Lalla begins her own investigation into Billy Wayne’s death as well the problems behind her father’s crop dusting business and generally gets herself in a ton of trouble. Barry Willdorf is a fairly new acquaintance of mine, and I haven’t read much of his work yet. But what I’ve seen is unique and very enjoyable. I hope you discover a new favorite author here! Barry: Pretty much since I was a teenager, which is a long time ago. But I began to take it seriously about fifteen years ago. Barry: I am not sure I feel successful. I get good critical reviews but I am never satisfied by what I do. If sales is the criteria, I am not successful. But if quality of writing is the standard, I think I am getting close. I’m a tough critic. Barry: I was a trial lawyer for over forty years. Writing was something I did in the evenings to be creative. The writing life for me is the creative part. Unfortunately, these days you’ve got to be in sales and PR. That’s not my strong suit. That’s why I hired PJ. Barry: I couldn’t live on my writing income. I know a lot of authors. Most of them can’t either. A few years back, I got a royalty check on an old book for $0.00. They spent more on the stamp and accounting. I was going to frame it, but it got creased. Barry: All told, ten years. 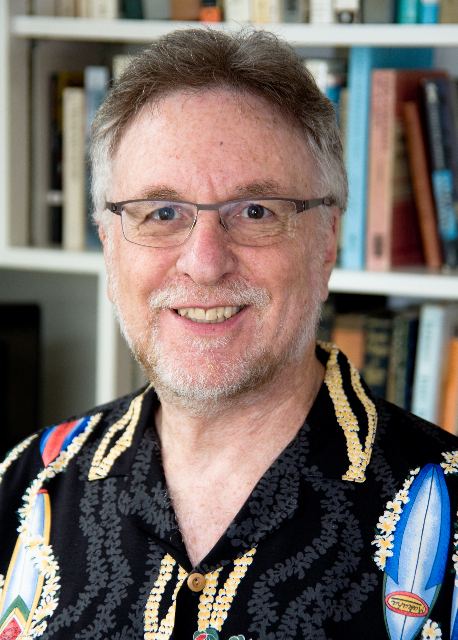 Barry: I would have started seriously writing fiction for publication in the 1970s, when it was a whole lot easier, not counting the e-book explosion, that is. Back then, my fiction tended to be short narratives for legal issue exam questions, like car crashes and barroom fights. Barry: I sit down at my desk and look at my to do list and decide what I can cope with at the moment. It’s good to have a lot of projects in progress, and that includes promo, blogging, writing queries, proofing, plotting, research, writing first drafts. Barry: Seeing my novel The Flight of the Sorceress in print. Barry: Having my freshman English professor trash a short work that I was proud of. PJ: Ouch! What’s the most memorable thing (good or bad) that’s happened to you while promoting your work? Barry: I was doing a book party in Brooklyn and two guest got into a fight provoked by what I wrote. PJ: Wow, I haven’t heard that one before! Hope it ended well. With more books being released each month now than ever before, what do you believe sets your work apart from the others? Barry: I am trying to write thematically about big issues in ways that reflect what real people think, or don’t think. I have written about the consequences of mixing church and state, of how people see the world based upon their class, how people make a lot of big decisions based upon race, even though they don’t know it, how family values include a lot of bad stuff along with the good stuff. In my world, good guys can do bad things and bad guys can be victims. I don’t see a lot of that kind of writing. Barry: Publishing is a business and it is cutthroat. Maybe your writing is good technically, but agents, editors and publishers don’t think they can sell it. Maybe they’re afraid to sell it because they haven’t sold anything like it before. A lot of people in the non-creative end of the book business are looking for the easy, quick sale and that makes it tough for newbies, unless they are writing more of the same. Plus there are just a slew of us writers out there. If you write, do it because you like to, not because you want to be a star. If you want to make a lot of money, you have a better chance by becoming a bond trader or real estate developer. Barry: Don’t take this as gospel, because I am probably the world’s worst self-promoter, but the thing that works best for me is in-person readings with a Q&A. I was a trial lawyer. I like to engage people. Barry: Figuring out an elevator speech. I put a lot in my books and it feels like dumbing down to try to encapsulate a big picture into a few quick words. 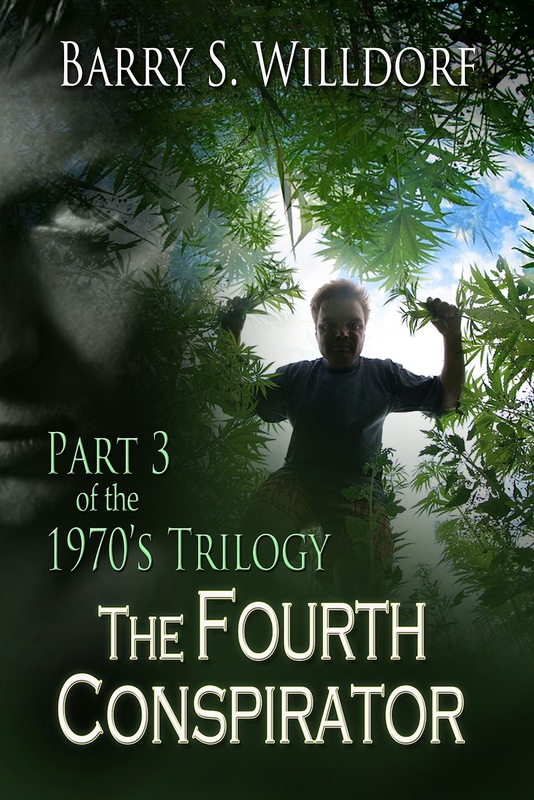 The lives and marriage of country lawyer, Nate Lewis and his wife, winery exec Christina Lima, are at risk when Nate takes the case of a winery employee charged with murder for shooting a thief raiding a pot garden and Christina agrees to mediate a dispute between her cousins over control of the winery. Print, in a pre-publication sale from me at http://agauchepress.com Scroll down to the Paypal button on the home page for a special pre-publication price of $15.00 shipping and handling included. After 9/17 you will also be able to buy it from Amazon and from my publisher at http://whiskeycreekpress. The E-book will be available on 9/17 on the Amazon KDP program. Thank you Barry, for sharing with us. 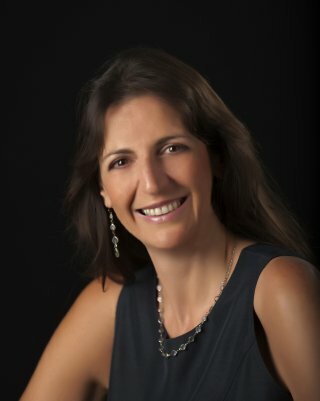 Folks, here’s another author who’s worth a second look! I’m so sure of it that if you’ll leave a comment, I’ll put your name in a hat for a drawing for a free copy of one of his books! Comments, anyone? Cole Griffin is nine years old and his dream is to see Manhattan and that dream is about to come true. Jeff, Cole’s father, is a mechanic and volunteer fire fighter in the family’s Laurel, Montana hometown. Sarah, Cole’s mother, is a schoolteacher. The family of three had been a family of four until Cole’s baby sister died. Since Cole’s baby sister died, Jeff and Sarah had been holding the family together with a thread. Neither parent is good at handling their grief and this has caused a rift in their marriage. The couple is hoping the rift can be repaired during this family vacation. The decision to visit New York is two-fold. Cole will have his dream fulfilled and Jeff and Sarah hope to be able to put their troubles behind them. Fate has a way of changing the best-laid plans and the Griffins are thrown a curve when they pick up their bags at the airport. Cole picked up what appeared to be his bag but when the Griffins get to the hotel it is discovered that Cole has someone else’s bag. None of the contents are Cole’s but he is fascinated with a tiny plastic toy jet that falls out of the bag. Arrangements are made to meet with the owner of the bag that Cole picked up by mistake and the exchange is made but with a small but very important exception. Cole left the plastic jet on the windowsill in the hotel. When Jeff steps into a shop and leaves Sarah and Cole on the street the mother and son are abducted. It seems the plastic jet is a very import piece in a group of terrorists’ plan. The group has no concern for the lives of Cole and will take any step necessary to get the jet back. When Jeff leaves the shop, he finds his wife and son gone. Frantically Jeff contacts the police. The police investigate but not to Jeff’s satisfaction. Jeff begins his own investigation and surprisingly is a very good detective. With his son and wife at risk, Jeff manages to finds clues faster than the police do. The hunt is exciting and terrifying and always there is the fear of what the terrorists will do to Sarah and Cole before Jeff and the police can uncover their location. 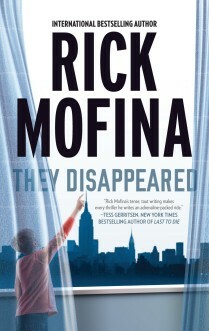 Rick Mofina draws on his experience as a news reporter to bring the reader thrillers such as They Disappeared. 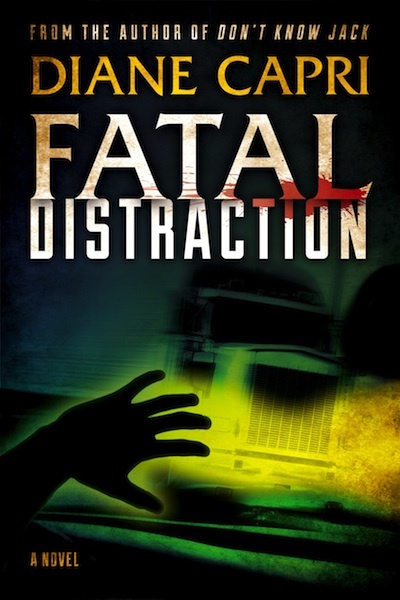 The story keeps the reader on edge as the danger mounts for the Griffin family. 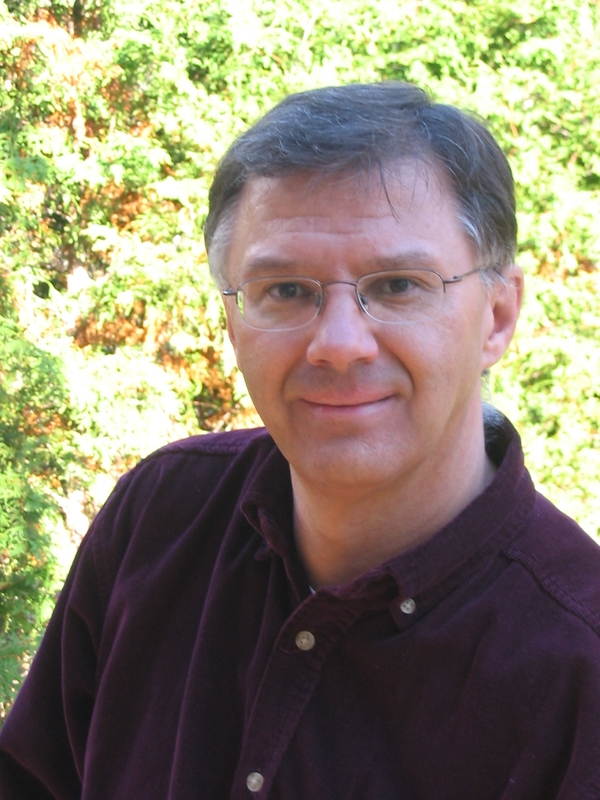 I’ve enjoyed many of Rick Mofina’s books. He always gives the reader an exciting story. Randy Richardson is fabulous! And I’m not just saying that because I have the pleasure of working for him, although that’s certainly one of the perks of my job. His writing is fresh and innovative; his demeanor is the same. And, he’s just a really good guy. He doesn’t write mystery, per se, but then life is mystery and he writes life. If you haven’t read one of his books yet, I promise doing so will enrich your life. I hope you enjoy! PJ: Randy, how long have you been writing? Randy: I’m probably considered a late-bloomer when it comes to creative writing. I studied just about everything but creative writing in college. I earned a bachelor’s degree in economics and political science, a master’s degree in journalism, and finally a law degree. Never took one creative writing class through all those degrees. While working as a lawyer, at the ripe age of 33, I got this seed in my head for a novel. That seed grew into Lost in the Ivy, a murder mystery set against the backdrop of Chicago’s Wrigley Field. I’m now 50 and just published my second novel, Cheeseland. So, how long have I been writing? Well, you can do the math, I suppose. But I think I have always been a writer, it just took me some time to accept that and, obviously, I took a circuitous route to becoming one. PJ: It seems to me that you select your topics with great care. How do you decide what you’re going to write? Randy: Well, I pick topics that interest me. My first novel, Lost in the Ivy, for example, is a murder mystery set against the backdrop of Wrigley Field, home of the Chicago Cubs. I’m a die-hard Cubs’ fan (I know, woe is me, right? ), so this was obviously a topic that interested me. I took that interest an extra notch by constructing a story arc that followed the heart of a Cubs’ fan. If you’re a Cubs fan, you already know the story. There is going to be hope and there is going to be pain and anguish and ultimately futility. 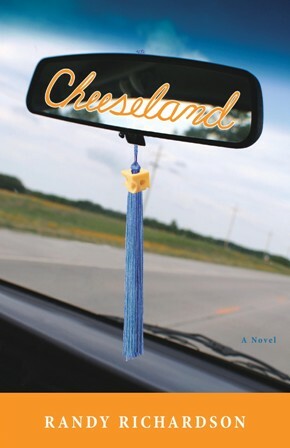 In Cheeseland, my second novel, I tackled much more serious issues, including teen suicide. The story isn’t about suicide, but rather about boys and how they tent to avoid confronting difficult issues, like suicide, only to have them fester and grow over time. In this case, I constructed a road trip that took thirty years to complete – a road trip becomes a roller-coaster ride. One moment the reader laughs along with the characters and the next he is crying along with them. The one thread that ties both novels together is that the seeds for both were inspired by true events from my life, but I suppose that’s another question. Randy: Do writers ever reach that place? I suppose the answer depends on how you define success as a writer. Creative writing, for me, is a hobby; it’s not my profession. So I don’t measure my success by money. I also don’t define it by sales, or awards or other kinds of recognition. To me, success is writing the story I wanted to tell the way that I wanted to tell it. Simple as that. By that measure, I suppose I have achieved success as a writer, because I’ve been able to write two novels the way that I wanted to write them. Randy: I don’t know if I had any expectations when I started out. I was pretty naïve, for sure. That might have been for the best in some ways. If I’d known then how hard it can be, I’m not sure I would have chosen such a path. Would anyone? The reality is that I don’t think I chose it so much as it chose me. By that I mean, that writer is inside me. I probably did just about everything I could to deny that I was a writer, as evidenced by my college choices. Once I accepted that part of me, I found out how hard it can be. Then I found that it doesn’t have to be so hard. There are a lot of others out there struggling, just as I did. That’s how I came to get involved in the Chicago Writers Association, a nonprofit organization of which I now serve as president. I saw that writing is much more than just the act of writing, and that we, as writers, can help one another to achieve our writing goals, no matter what those goals may be. We can all learn from one another and support each other along the way. So, for me, the biggest difference from when I just started out and now, is that I’ve got an entire community of writers to help me along the way. Randy: They really think that? They must be reading too much fiction! I know very few writers who are making a living solely from writing. As I mentioned earlier, creative writing, for me, is a hobby; it’s not my profession. I earn a living as a lawyer. There’s a part of me that has fantasized about being John Grisham or Stephen King, but there’s another part of me that wouldn’t want any part of that kind of success. The demands they face, both in terms of writing and publicity, have to be all-consuming. It’s a big price to pay. As it is now, I write on my own schedule and write only what I want to write – not what an agent or an editor or a publisher is telling me to write. Do I hope that others will like what I like? Of course I do. We all want some degree of acceptance of our work. But at the same time I don’t think I’d be happy writing if writing were my job. It would feel like a job, and I already have one of those and don’t really want another one. Randy: I honestly don’t think about getting published until I’ve written something that I feel is worthy of publication. I try not to be influenced by the publishing marketplace, because it is too fluid, too temperamental. One day everyone wants vampire stories and the next they want erotica. I simply try to write the best story I can write. To me, the one thing that always sells is a good story. Randy: Well, that’s a long story in itself, filled with rejections, disappointments, mistakes, and even death. The death part was quite tragic. I was scheduled to meet a small mom-and-pop publisher, and the night before I was to travel to meet with them, I got a call from the pop that the mom had died, quite unexpectedly, and that the pop wouldn’t be continuing the business. The biggest disappointment was with a bigger indie press that rejected the manuscript at the last level after reviewing it for six months. The mistake was giving up at some level after all of those disappointments and making the choice to publish with a POD publisher that claimed to be something that it wasn’t. That was a tough lesson to learn, but I really don’t regret that it happened. I always take such lessons as exactly that, lessons. We learn from them, hopefully, and don’t make the same mistakes. This is another reason why it is helpful to have the support of a writing community where you can learn and share information with one another so that others don’t make the same mistakes. Randy: Would I have done things differently knowing what I know now? Yes. But, again, I look at those pitfalls as part of the learning process. Was it a tough price to pay? Yes. Have I recovered from it? I think so. I honestly don’t think I’d be where I am today, leading a 400-member writing community, if not for those mistakes I made in the past. I can’t dwell on those past mistakes. I learn from them and I move on, and I try to help steer others in the right direction. Randy: Like just about everybody else, time is probably my biggest challenge. I have a day job as an attorney, I have a volunteer job as president of a 400-member writing community, and I have a family. I have to squeeze in writing whenever I can. Lunch breaks. Late at night, after everyone else is asleep. I also give up a lot of things I used to enjoy, like TV and movies. The reality is that my family and my job have to come first, and there isn’t a whole lot of time left over for writing. Fortunately, for me, I don’t have to make a living as a writer. That’s what my day job is for. I write for the love of writing. I honestly don’t think I could make a career as a writer. I’m much too slow. I am always amazed at these authors who are able to crank out a novel every six months. Both of my novels, from start to finish, took about seven years. My son was just a baby when I began writing Cheeseland. It was released just a few days before he turned 9. Even though writing is not my job, I still try to present myself to the world as a professional author. I’ve found that the only way I am able to do that is to break up all those various parts of the writing life into segments. I do one segment at a time and never overlap segments. When I’m promoting a book, for example, I set aside 9 months where that’s the only segment of my writing life that I’m doing. After those 9 months are over, I call it quits on marketing and shift gears back into writing. The simple answer to the question, for me, is that I can’t give adequate attention to all needed areas, so I break them up as best I can and focus on one at a time and do each as best as I possibly can. Randy: It hasn’t happened yet, but it will happen, any day now. Maybe tomorrow. Maybe the next. I don’t know, but I know it will happen. All authors have to believe this, don’t they? Isn’t that what keeps us going? Isn’t that why we’re sneaking peeks at those Amazon rankings or those GoodReads reviews every chance we get? I think maybe it just happened. I better check those Amazon rankings again. Randy: This has happened, and it stung. Rejection always stings. It is that girl who turned you down for the Homecoming dance, or that job you really, really wanted. I wanted that one publisher to say ‘yes’, when I was shopping that first manuscript. They said ‘yes’ twice, but then said ‘no’. You forget about those two yeses but you never forget that one no. You keep asking what did I do wrong? What could I have done better? The questions are unanswerable. Sometimes it is nothing you did. You’re just not what they’re looking for. Doesn’t matter, it still stings. A lot. Overnight, the skies finally cleared. Bright and early that morning, I beat the tourist buses and toured The Capitol Mall for the first time since I was a toddler. Take away the politicians, and it’s a pretty amazing place. From there, I went to a less impressive mall, The Shops at Georgetown Center, where I did a book signing at Waldenbooks. I didn’t have huge expectations for this but I at the very least thought that the bookstore would know I was coming. They didn’t, even though my publicist had confirmed with them – not once, not twice, but three times. Which just goes to show that you should never have any expectations when it comes to book tours. I will say that the assistant manager at Waldenbooks was quite apologetic and accommodating and quickly tried to make amends by setting up a table for me. In two hours there, I sold a couple of books. One went to a friend of a friend who was kind enough to make a special trip to see me. The other went to a woman who was touring D.C. with her son, Raffi, to whom she wanted the book signed. Before I learned that she was from Austria, I asked the woman if her son is a baseball fan (my book of course having a baseball theme). “No, I think he is now a fan of America, though,” she said. Now there is at least one copy of my book in a home somewhere in Austria. I signed eight other books that were put on display by the front desk, and then drove off to my final stop, which I thought was going to be a bookstore but turned out to be a Middle Eastern restaurant that used to also be a bookstore. A few weeks ago they went out of the bookstore business. That brings us back to rule No. 1: Never have any expectations when it comes to book tours. I didn’t sell any books at that Middle Eastern restaurant, but I got a really nice dinner on the house. Unfortunately I came two days too late for the belly dancing. Next time I’ll have to plan better. PJ: Unbelievable! Oh the glamour of an author’s life, eh? With more books being released each month now than ever before, what do you believe sets your work apart from the others? Randy: I think what sets my work apart is that you get a lot thrown into a small package. I write small stories that both entertain and hopefully make you think. You get thrown on an emotional roller-coaster where you’ll laughing at one moment and then crying or screaming at the next. In the end, I hope they are stories that make you think and stick with you for a while. Randy: Don’t think about publication. Just write. Write the best damned book you can write. Then start thinking about publication. If the book is good, really good, they will come. Randy: This may go against the grain a bit, but I don’t think that book reviews, or book signings, or radio or TV appearances (Oprah was once the exception but she’s too busy promoting herself now to promote other authors) are the most effective tools for promoting your published work. They’re all necessary, and I think that all authors should do all of them, but the most effective tool, in my mind, is the one that doesn’t cost a penny. It does take time and it does take energy but it doesn’t cost money. It is word of mouth. It is building a community of fans and friends who are writers, through social media and your website and through writing groups and writing events. There’s a sense of paying it forward to the writing life, and I try to always say yes to fans and other authors, because you never know when you might need them, when they might be able to help you. I’ve built a whole network of writing friends through my work with the Chicago Writers Association, and all of those relationships have paid off in various ways. I found a publisher for my latest release through a connection I made with CWA. When I needed blurbs for the back of the book, I called upon some of the amazing writing friends I’ve made over the last few years. Every single one I asked said yes. The point is, we, as writers, are all in this same leaky boat together. We can all help one another, we can not only stop that boat from sinking, we can patch it up and make it sea-worthy again. PJ: Excellent advice! What area of book promotion is the most challenging to you? Randy: Standing in front of a crowd, looking at their eyes, and opening my mouth. It terrifies me. I suspect that it comes as a surprise that a lawyer and the president of a 400-member writers’ organization would find public speaking to be a challenge, but I’ve never been comfortable with it. I’ve battled shyness all my life. I’ve never conquered it. But I keep putting myself out there, even though I don’t enjoy it. I’m sure I’m not alone. We, as writers, tend to communicate better through the written as opposed to the spoken word. We tend to work in solitude. Public speaking doesn’t come naturally to most of us. But we’ve got to do it. If you’re going to be successful as a writer, you have to get up and speak in front of a crowd. That’s part of the business. I tell all writers not to wait until that book is published. Get up off that seat and out of that writing cave and get yourself to a local reading event. Start reading your words in public. Now. It’s a great way to meet other writers, it’s a great way to start building a fan base, and it’s a great way to learn to build confidence as a public speaker. I love all independent booksellers, but my personal favorite is The Book Cellar, located in Chicago’s Lincoln Square neighborhood. 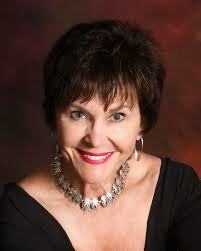 Operated by Suzy Takacs, The Book Cellar has been an ardent and active supporter of local independent authors. They host a monthly Local Authors Night, which I will be reading at on November 15. Come on out. It’s a wonderful bookstore. They even serve beer and wine. What more could you possibly want out of a bookstore? Cheeseland is Mystic River meets The Last Picture Show: a wild coming-of-age road trip that takes thirty years to complete. Cheeseland is available in trade paperback from Eckhartz Press (www.eckhartzpress.com) and in e-book format from Amazon, Sony, iTunes and Barnes & Noble. I mentioned that I took a rather circuitous route to becoming a writer and that I did just about everything other than write before I became a writer. I think most people would be surprised to know that I began college studying to be a pilot, a career that literally never took flight. I had been learning to fly single-engine Cessnas at Parks College in Cahokia, Illinois, and had collected nearly 40 hours of flying time. After my first solo flight, my legs were shaking uncontrollably and I realized that I probably wasn’t cut out to be a fly boy. Randy, thanks for taking time to talk to us here! One thing’s for sure – you haven’t led a boring life! I hope this effort has gained you a few new fans. Now we’ll all know we have to pace ourselves and savor Cheeseland because it’ll be a while before your next book! Any comments for Randy?